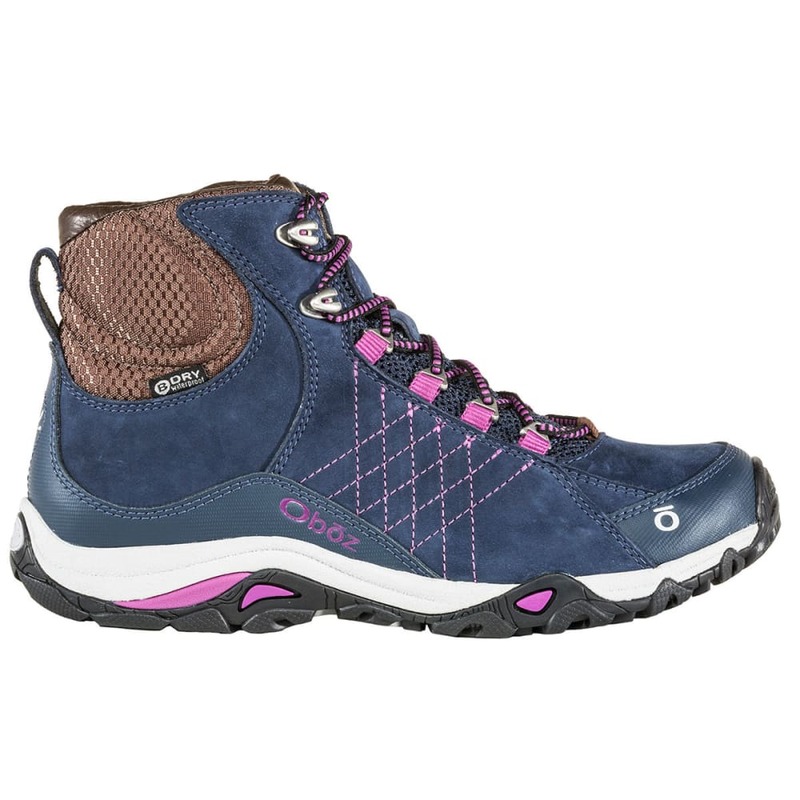 The Sapphire isn’t only about a women’s-specific fit; it’s also about women’s specific comfort and soul. A tuned EVA midsole provides soft cushioning, while the TPU chassis provides protection you can trust. Articulation in the upper allows uninhibited forward motion, yet supports the ankle laterally whether on off-camber trails or crooked cobblestone streets. 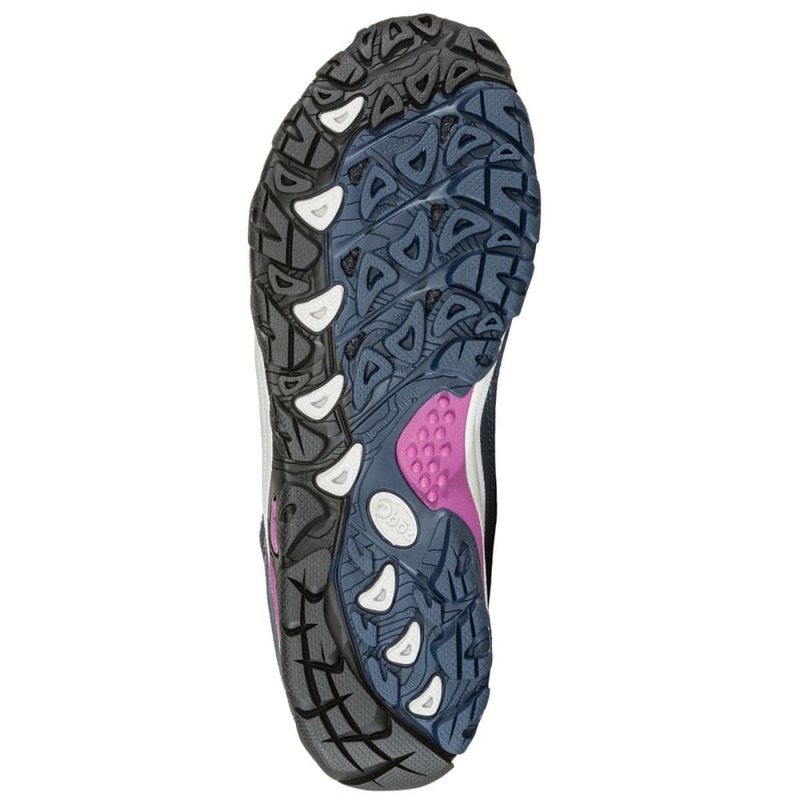 Secure outsole traction takes you from Main Street to the Mountains and back. 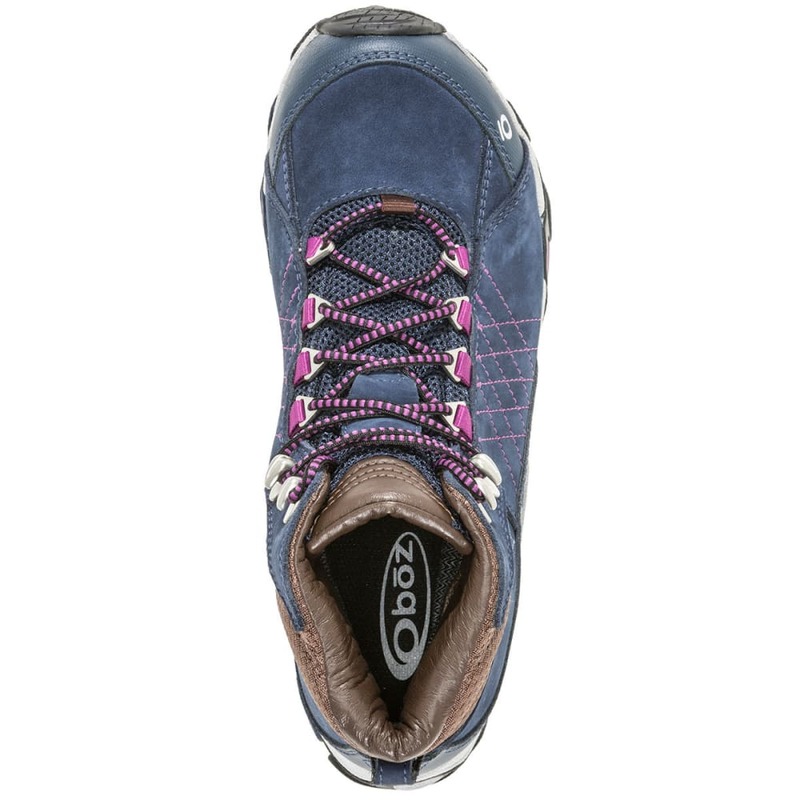 Oboz B-DRY waterproof/breathable membrane: Three core components make up the B-DRY waterproof system, starting with Oboz’s proprietary tape-sealed polyurethane film bootie. Hydrophobic upper materials keep the shoe watertight, while textile lining wicks sweat away. Volume: Medium-volume feet tend to be standard width, with some combinations of high or low arches and a high or low instep. Women’s standard width is B in the heel and C in the forefoot (according to Brannock Device®). Patterns and materials in a given model may influence fit. 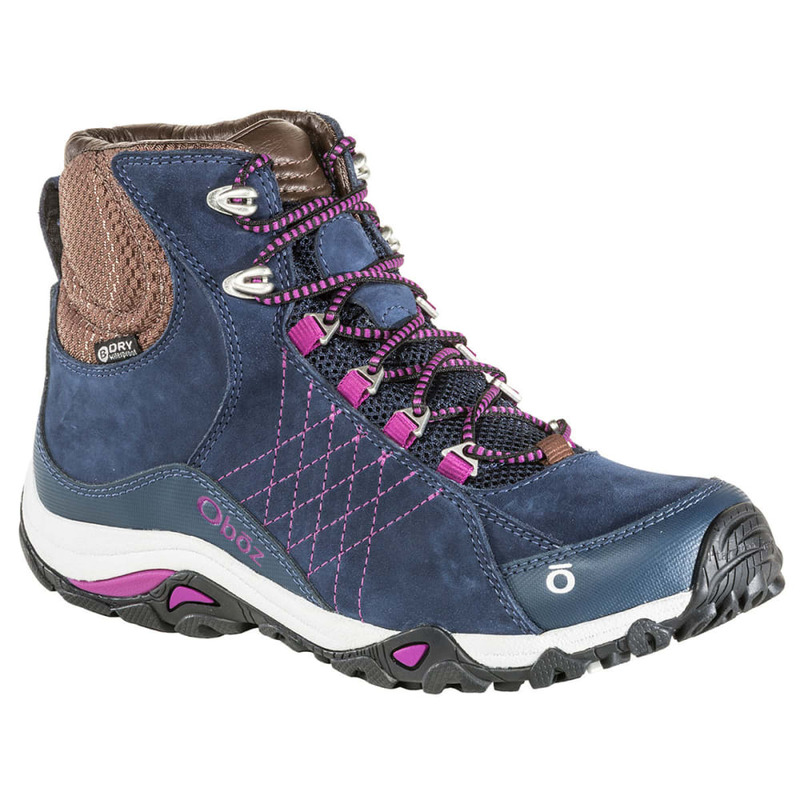 Swiftcurrent – A women’s-specific design providing incredible durability, stability, and comfort with lugs that offer ample traction as you stroll down Main Street and enough grip underfoot to lead you on the trail. Avg. Weight (pair): 14.3 oz.